GLOBAL infrastructure investment and development firm United World Infrastructure (UWI) has been an integral part of Medini’s development. By collaborating with the other shareholders of Medini Iskandar Malaysia Sdn Bhd (MIM) — the master developer of this township — Dubai-based UWI has actively participated in the many aspects needed to build a world-class township with commercial and residential precincts. This includes the development of Medini’s master plan, construction of its infrastructure network, creation of its policy framework aimed at spurring businesses and investments, and attracting anchor developments to selected industries. The firm also provides city management services and smart city services such as facilities management, utility management services, ICT and telecommunications services, smart card series, estate management, waste collection and disposal, and parks and greenery management. UWI has a 20% stake in MIM, whose other shareholders include Khazanah Nasional Bhd and foreign companies. “We invest in the acquisition, development and management of real estate and infrastructure assets around the world to stimulate economic growth, technology transfer and foreign investment. For each project, we consider a region’s unique characteristics, its people and surroundings to design and execute a master plan that addresses specific social, economic and environmental concerns. We also invite relevant development catalysts to the new urban development such as schools, theme parks and hospitals,” says Dr Imran Markar, a principal at UWI. He leads the firm’s strategic relationships with institutional investors, government-linked agencies and financial institutions around the world. “Our urban developments include our signature real estate and infrastructure asset — the economic cluster. Economic clusters are self-sustaining developments with a 24-hour lifecycle, including live, work and play spaces. Each cluster is integrated into the economic network of the region and acts as a catalyst for economic growth, social development and environmental conservation. Our aim is to make cities liveable,” he adds. Here, Markar talks about UWI’s decision to invest in Medini and the role it plays in this township. The Edge: What compelled UWI to invest in Medini? 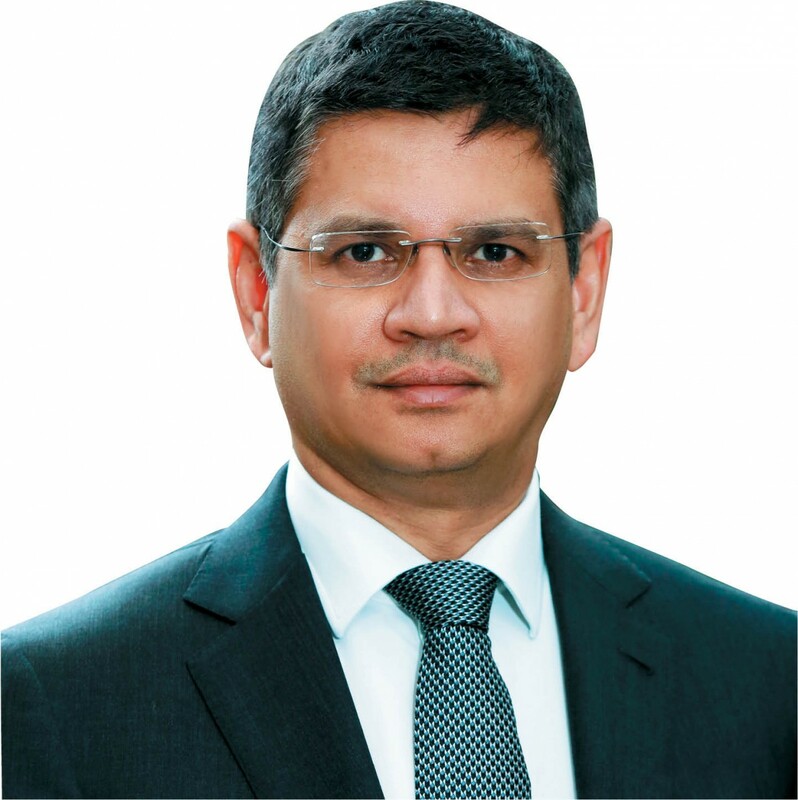 Dr Imran Markar: The Malaysian government, through its investment arm Khazanah Nasional Bhd, approached us in 2005 to collaborate on the delivery of Medini. The vision was to build a connected central business district for Iskandar Puteri (formerly known as Nusajaya) that offers a high quality of life for residents. 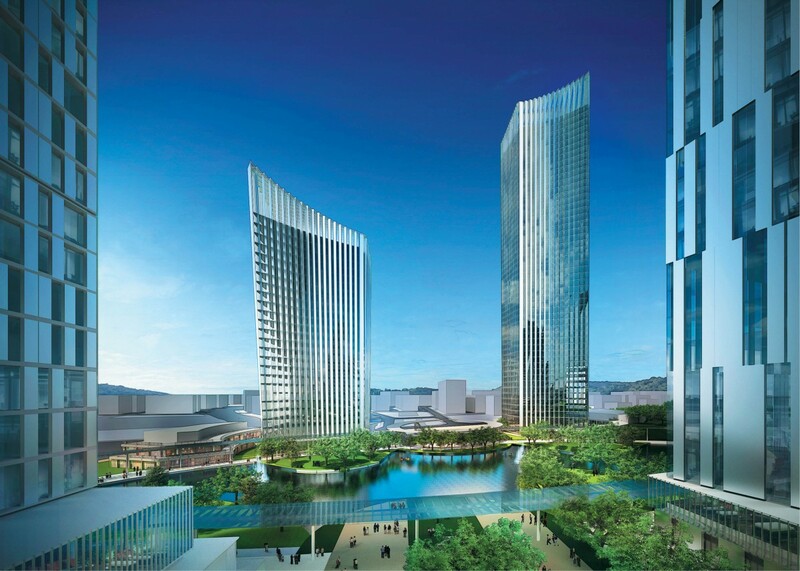 Over time, Medini is expected to be one of Asia’s premier business destinations. UWI has its own signature economic cluster model aimed at accelerating urban development. This model is based on our extensive experience in different real estate and infrastructure projects in Dubai. When we started working on Medini, we looked to develop a city that incorporates systematic and sustainable elements that would complement the broader socioeconomic concerns of this region. UWI has been investing in Medini for the past 10 years. Why did we make this decision? First, there is a wide range of economic and strategic benefits that comes with an investment in Iskandar Malaysia. This economic region is earmarked for growth and Medini is based on a globally competitive regulatory framework. Another compelling reason is the integrity and quality of Khazanah, our co-investment partner. It is truly committed to developing Iskandar and our public-private partnership really is a partnership in every sense of the word. Besides Khazanah, we have worked with other government-linked companies and regulatory authorities to build Medini, and this experience has been truly rewarding. Medini gives us an opportunity to participate in the socioeconomic advancement of its residents. Also, I have personal connections with this region and the project continues to inspire me. In the grand scheme of things, Medini will eventually economically advance Malaysia and Southeast Asia. Besides Khazanah, who else did UWI work with to develop Medini? In the past 10 years, we have partnered public sector entities as well as premier global investment agencies such as Japan-based Mitsui & Co, Abu Dhabi’s Mubadala Development Company, Kuwait Finance House and Singapore’s Temasek Holdings. Most of them are long-term investors in Medini. This is testimony to the belief that we have in this township. It also speaks of the trust that all of us have in Khazanah. What role did UWI play in the development of Medini? UWI was the first shareholder in the public-private partnerships that were established to develop Medini. We committed in-house technical expertise and financial resources. Collectively, we developed the concept and master plan for this township, which includes six economic clusters: healthcare, finance, education, leisure and tourism, the creative industry and trade and logistics. We identified initial developments that would act as catalysts in attracting regional and foreign investors. We also directed the rollout of infrastructure projects and ensured that installation was completed on time and within budget. Finally, we developed a framework for city management services aimed at enhancing liveability of this township. This ensures that residents and visitors experience a sustainable city and a high quality of life in Medini. More recently, we started investing in themed strategic commercial developments. These real estate assets should establish Medini as the central business district of Iskandar Puteri. Our decision to invest in Medini is based on a framework of sustainability. At UWI, sustainability refers to environmental, social and economic considerations. These are important factors for residents and users and for the township’s long-term viability. Let me elaborate on sustainability features. These include but are not limited to high-quality green spaces in a dense urban setting, public parks, playgrounds and a pedestrian-friendly environment that encourages walking by reducing the need for transport. This lowers the township’s carbon footprint. UWI also champions smart connected infrastructure and we are very excited about the smart city features in Medini. [Smart cities provide efficient, reliable and sustainable energy through solutions such as smart grids, smart metering, renewable energy sources and energy storage. Systems are also used to analyse energy consumption, monitor demand and supply and to assess future energy requirements.] The idea is to enhance the quality of life by delivering smart solutions to those who live, work and visit Medini. Smart solutions in Medini include smart transport (electric vehicles), a community portal, an integrated operating centre and smart buildings. Besides smart city technology and solutions, we also looked at incorporating road safety features, implementing initiatives to protect the mangroves and the natural environment as well as ways to generate employment opportunities and the establishment of private and public schools. Finally, we believe that cultural activities must be encouraged and nourished for a city to be sustainable. With all this in place, Medini will serve as a magnet for investment and business within the region. What are you looking at doing next for Medini/Iskandar Malaysia? We have completed the infrastructure for Medini. At this juncture, we are looking at investing in other strategic developments in Iskandar. We will continue to provide city management services as described above for Medini. Will a business district thrive in Medini? Why do you think so? Multinational companies and world-class developers are already invested in this township. They have generated jobs there and fostered the transfer of expertise and technology to its talent. Medini is already home to what is known as catalyst investors. For example, Gleneagles Hospitals, a renowned healthcare network, is there and its presence has facilitated the development of facilities such as Avira, a wellness resort with residential units, and Afiniti, a wellness and lifestyle development with residential units and a wellness-themed retail centre. Government support is crucial to attract investors and much is in place in Medini. For example, Iskandar Regional Development Authority’s (IRDA) one-stop-shop minimises the steps required for new businesses to set up in Medini. IRDA has established a single access point for investors to obtain licences, permits and approvals from various government agencies. In just a few years, Medini has attracted more than 30 companies from different regions. What are your aspirations for Medini? We have a clear focus for Medini. In this decade, we hope that this township will serve as the central business district of Iskandar Puteri, as a model for how smart cities can benefit residents and as a premier destination that integrates city living with the well-being of its community. How does Medini complement your portfolio of investments? Our experience in Medini allows us to add city management services to our portfolio. What we have learnt is that many of the solutions required by the residents of Medini are also applicable to those living in the urban areas of Sau Paulo, Dubai or Mumbai. Every township and city wants a smart, clean, safe environment for its community as well as affordable services. UWI has investments around the world. How does Medini compare with the other regional investment destinations? As an investment destination, Medini is attractive for many reasons. It is strategically located and offers access to many countries. Its business environment is based on an attractive regulatory framework. We think that the most compelling factor of Medini would be the quality and capacity of its residents — its talent pool. As the multicultural environment of this township expands, it will make Medini liveable and enjoyable while the entrepreneurial drive among its residents will sustain its economic prosperity. In 2013, Mitsui & Co Ltd (Mitsui) acquired a 20% stake in Medini Iskandar Malaysia Sdn Bhd (MIM), the master developer of the Medini township. This strategic undertaking enabled the Japanese conglomerate to expand its infrastructure project and township management business in Asia as well as establish a presence in Malaysia. Tokyo-listed Mitsui also owns a 20% stake in Asia’s largest hospital group, IHH Healthcare Bhd, which it acquired in 2011. Mitsui is one of Japan’s largest trading and investing companies, with a presence in more than 138 countries, including Russia, Mexico and Brazil. It focuses on six business areas: energy, metals, chemicals, machinery and infrastructure, lifestyle, and information and corporate development. Developing Medini into a smart and comfortable city is in line with Mitsui’s objective of contributing to a better, more sustainable future. “We are pursuing new models in the realm of smart city development. The objective is a sustainable and low-carbon society. 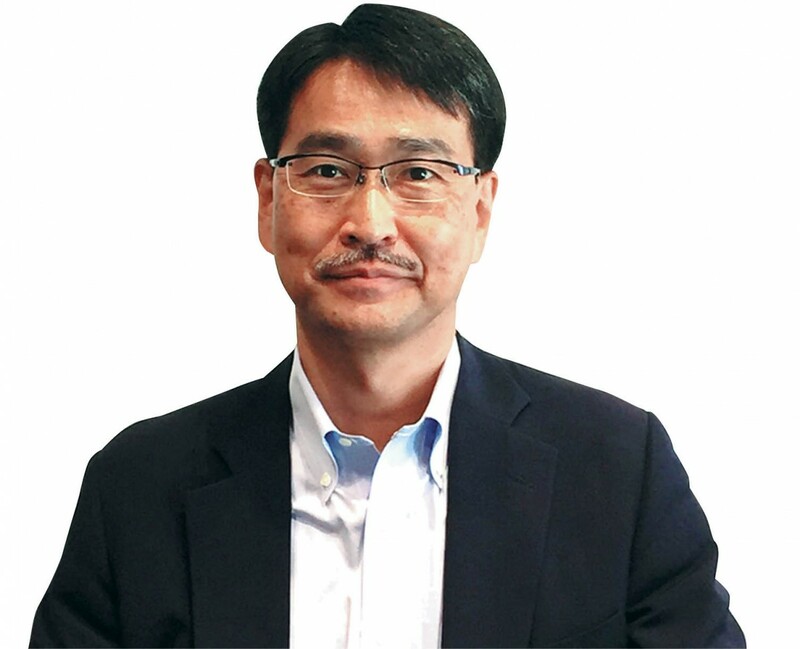 This is a key strategy espoused by Mitsui’s plan of developing new businesses that enhance environmental sustainability in one of our key sectors — real estate in Asia,” says Mitsui director Kazumasa Nakai. As one of the three shareholders of MIM, Mitsui is involved in the formulation of Medini’s master development plan, construction work and outsourcing. Much like UWI, which also has a 20% stake in MIM, Mitsui has a long-term view of its investment in Iskandar Malaysia. “Our investment in MIM is regarded as a ‘business innovation project’. These are Mitsui’s endeavours aimed at creating business for the next generation. These could be projects that are unpredictable and uncertain, but deemed to generate profit in the long term. Our investment in MIM involves extensive urban development slated for the next 20 years. Medini is an innovative venture and will embody the idea of a next-generation city,” says Kazumasa. Here, he talks about Mitsui’s involvement in Medini. The Edge: Why did Mitsui invest in Medini? Kazumasa Nakai: We decided to invest in Medini for several reasons. It is a greenfield development and still in its infancy. Nevertheless, it is a very attractive investment for us because of its huge potential in the medium to long term. The decision to invest was driven by several factors. First, Medini’s geographical location is attractive as Malaysia and Singapore are rapidly growing and prosperous nations in Asia. Mitsui’s decision is also in line with MIM’s vision of creating a sustainable lifestyle and a low-carbon township. Finally, the Malaysian government offered several attractive incentives to encourage foreign investment. Being part of MIM allows us to establish our presence and our brand in the development of future generation cities. Medini allows us to utilise our smart city development philosophy. This township is creating a showcase, a new business model for smart city development in Asia. What role does Mitsui play in the development of Medini? We contribute towards the realisation of a sustainable society that is safe, secure and liveable for residents. This is our definition of a smart city. Mitsui plays a part in planning and in providing MIM with smart tech solutions and knowhow in township management. There are plans in the pipeline to further develop Medini as a smart city and we are looking at participating in different business areas. How does Medini fit in Mitsui’s portfolio of investment? Mitsui has a medium-term business plan where we focus on the development of new-generation economies, including enhanced and sophisticated city development. Medini allows us to utilise our comprehensive business engineering capabilities as well as our strength in ICT, transport and energy acquired from our experience in many other projects. What is your long-term view of Medini? We strongly believe that Medini will prosper in the long term. This is largely because the Malaysian and Singaporean governments support its development in various ways. We also think Medini will drive the Malaysian economy and become an ideal city that offers economic growth and a comfortable life for its residents. This article first appeared in Medini — Poised for success, of TheEdgeProperty.com, on Sept 23, 2016. Download free copies of TheEdgeProperty.com here.